A modern jewelry statement piece by Sandy Baker has been selected to be part of the Museum at F.I.T. permanent collections. Sandy Baker is, and always has been a designer with a vision. Throughout her career spanning over 40 years, she has strived to create modern jewelry that carried the reverence of art while remaining practical and comfortable. Recently the Museum at F.I.T. selected one such piece to be part of its permanent collections. The necklace is a statement piece, inviting a sense of drama and elegance, yet in spite of its size remains light and easy to wear. The Museum at F.I.T. is the only museum in New York City, and one of a handful around the world, dedicated solely to the art of fashion. This placement is in keeping with Ms. Baker’s enthusiastic support of art education. 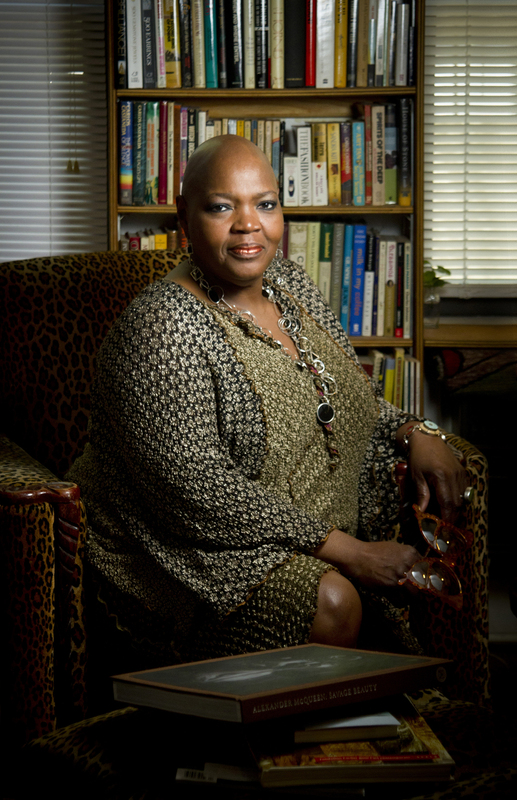 She has long championed the merits of higher learning, giving talks and lectures to students throughout the country about the power of art, design and entrepreneurship. 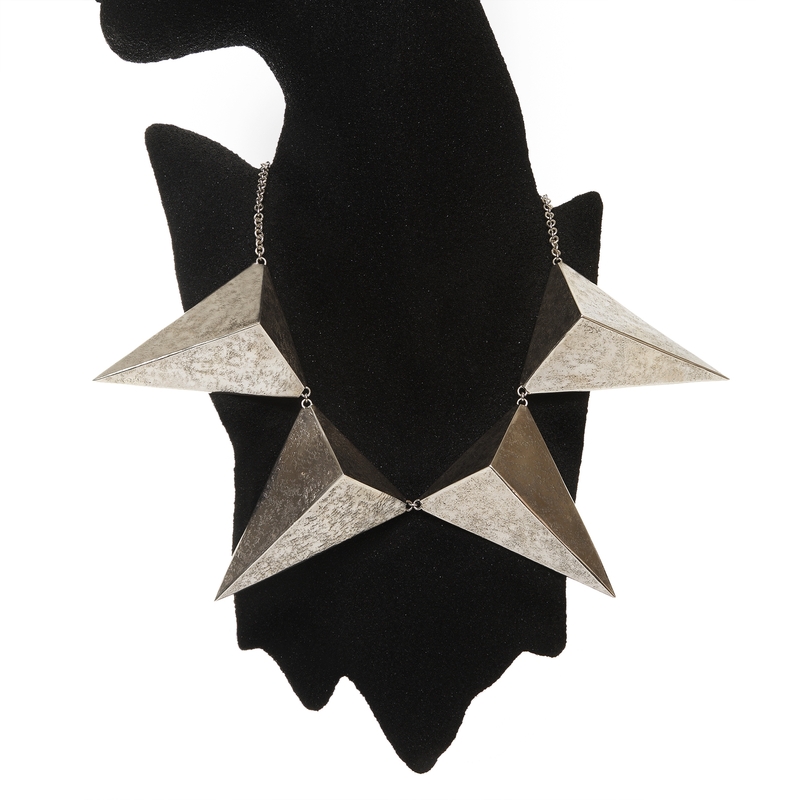 For the last 3 years, the “Pyramids” necklace has traveled as part of the touring exhibition “Variations On A Theme: 25 years of Design for the American Jewelry Design Council.” The show opened at the prestigious Forbes Gallery in New York City. Ms. Baker’s work is included in the Design archives of the Smithsonian, and has been published in a number of books including “BRILLIANCE! Masterpieces of the American Jewelry Design Council” and “500 EARRINGS, New Directions in Contemporary Jewelry.” Ms. Baker is honored to see “Pyramids” join the permanent collections of the Museum at F.I.T. and looks forward to her work’s inclusion in coming exhibitions.